as well as repeat business and referrals." "From the initial meeting with Jarek, my husband and I were both struck by his friendly professional manner. This continued throughout our build. All workmen were extremely courteous and nothing was too much trouble for them to change anything. Build costs were itemised and on budget throughout and more importantly within time scale agreed. The build was filmed by "BUILDING THE DREAM" on MORE 4 (Charlie Luxton). The complete filming team were blown away by the quality, speed and Health and Safety on site. To date, this has been the shortest build since the programme began. The time scale was five months. 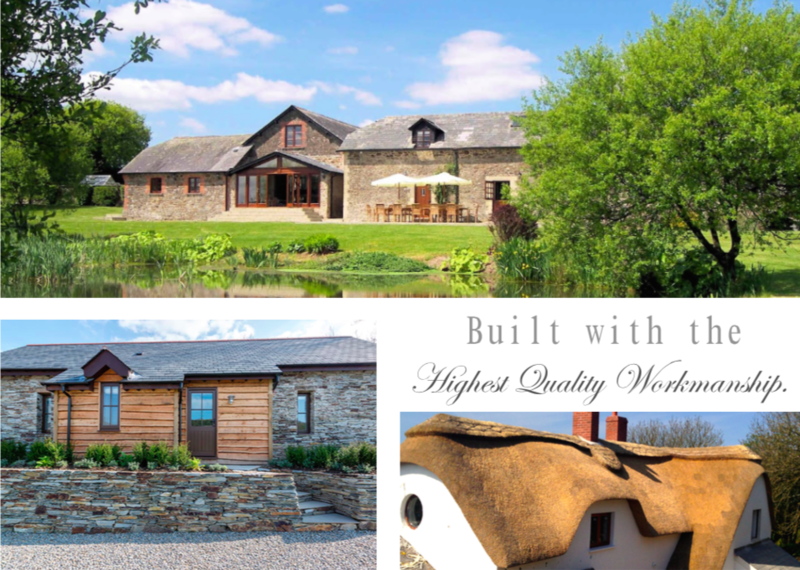 We would recommend to anyone JPK Contractors who certainly must be the best builders in the South West. We value their professionalism and their friendship and thank them wholeheartedly for 'Building OUR Dream'. " "From initial tender & meeting with JPK and our architect, JPK were punctual, polite and precise. Each step of the build costs were details and compared to the original estimate with every effort to bring costs in or under budget. The workmen were very hard-working, courteous and respectful towards us and around the property. They kept the place safe and cleaned and tidied up each day, The regular tradesmen such as plastering, tiling, plumbing, kitchen fitting etc were experienced & skilled at their trades.We have a beautiful two storey extension and a re-modelled interior to our house thanks to JPK, we would use them again and have recommended them to our neighbours. We were all impressed at how little disruption was caused during JPK's build this summer and with what they have achieved." "We have fully modernised a 70s bungalow, including the installation of external wall insulation (the days of mould are finished and we are warm and cosy), and conversion of the garage. The experience would have been traumatic had it not been for JPK. Their work rate meant that the project progressed unbelievably quickly, their project management is exceptional, and throughout the process the builders themselves were courteous and considerate. The workmanship is excellent, and I wouldn't hesitate to recommend them. They really care about their clients and constantly provide design solutions not problems." "Many thanks to JPK Building Contractors Ltd. We would be happy to recommend them to others. Having used JPK before, they were the only builders we wanted and fully trusted to undertake refurbishment of bungalow my elderly mother had bought. Work included a new kitchen, bathroom, cloakroom, DG windows and doors, chimney, roof and gutter work, some plastering, tiling, wood floors and rewiring. Their conscientious and professional attitude, always with a smile and commitment to deadlines, meant the difference in changing a difficult house move to a worry free and happy transition to a new home for my mother." "It is with pleasure that this letter of recommendation is provided for Mr. Jarek Kruth and his team at JPK Building Contractors Limited with whom we had the privilege of working with on several high-end residential projects in Hartland between 2013-2014 (i.e. extensions, renovations, roofing/thatching works). JPK Building Contractors Limited demonstrated all the unique blend of skills in the construction industry through their excellent quality workmanship and first-rate customer service. They understand the dynamics and the demands of both clients and architectural designs in order to bring a level of service and result uncommon in the industry. Mr. Kruth never failed to supply us with timely and useful information regarding selection decisions, providing detailed updates on frequent basis and managing as well as organising quality materials and qualified tradesmen required to put a design together. His commitment to every projects have made every opportunity to work with an enjoyable experience for both our firm and our clients. It is therefore without any reservation that SJ Prouse Design would recommend Mr. Jarek Kruth and his team at JPK Building Contractors Limited for any construction undertaking of any size and scope." “We used JPK to convert a series of barns into holiday accommodation which lasted about 6 months, from the autumn of 2012 to spring 2013. The work involved digging out and replacing floors, creating new openings, rebuilding in stone and block, damp proofing and insulating walls/ceilings and finishing. "Used JPK again for external works, summer 2012. Beautiful stone wall for garden approx 28 metres, garden path, stone steps and French drains around exterior of farmhouse. As before, great standards and workmanship, open and honest, reliable team always on time whatever the weather! Always happy to recommend." "We are very impressed by the workmanship of JPK Building Contractors Ltd who were recommended to us by our architect, Steve Prouse. They are a very professional enterprise; clean, quick, efficient and friendly. The site required a lot of extra work due to the removal of vast amounts of thatch and the need to create 'run offs' for the new guttering. Our garden is our pride and joy and despite the use of heavy vehicles, they treated the ground with respect and when all was finished, they cleared up extremely well. 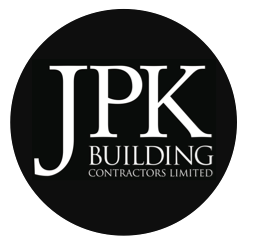 Many thanks to JPK Building Contractors Ltd. We would be happy to recommend them to others!" "From our initial meeting through to completion, the JPK team were committed, punctual, hardworking and polite. The job as completed on schedule and within budget as promised. We would have no hesitation in using JPK Building Contractors Ltd again or in recommending them to other." "Totally reliable, excellent work ethic, careful, cheerful and very hard working. Clear up after themselves and are a delight to have about - which is so rare in most trades people! Non patronising to female employers, extremely open about costs of materials and keen to help work around issues and time-scales. Hesitant to rate them too highly as I want them to do more work for me and fear they will become too busy! Thoroughly recommended for a job well done, within budget and well within timescale." "First fix done but waiting for other trades for final second fix. I must say quote was fast and accurate. He also ensured work met regulations." "Extensive renovation to tricky period property, including roof structure, floors, ceilings, new window openings, plaster boarding etc. A polite and friendly team who worked incredibly hard at a fast rate to a very high professional standard. Knowledgeable and very conscientious to achieve result client wants. Would not hesitate to recommend." For all reviews, please see links below.